Cozy and comforting, carpet is one of our favourite flooring mediums for both commercial and residential interiors. Perhaps one of carpet’s strongest attributes is its ability to provide a dramatic and instant transformation to every space it touches. With a full spectrum of styles, colours, and textures offered, there’s truly carpeting for everyone..
At Irvine Carpet One Floor & Home in Barrie, ON we carry a wide assortment of carpeting and related products, and can help you navigate the different product families, narrowing down your search to discover the perfect flooring fit for your home or business. But before you do, let’s take a closer look at the world of carpeting, and gain a deeper understanding of the different types of carpets, and their functions. Thanks to modern innovation, today’s carpeting spans many, many beautiful and smart solutions, suitable for many common flooring challenges. There are carpets made to resist all types of stains, and withstand extreme conditions. Some types of carpeting are made to trap and repel common allergens, while others are made for quick and simple cleaning. Your carpet’s pile, or fibre, plays a major role in determining dominant function. Carpet fibre may be organic or synthetic. Frieze or “shag” fibres boast a very unique look, and are extremely soft. These yarns are long and twisted, creating a casual and often “retro” look. Level loop fibres are short and looped, for a carpet that’s extremely durable. These type of rugs can be used anywhere, but are especially popular in busier types of commercial settings. Patterned fibres are carefully woven, with looped fibres arranged to create intricate patterns. These carpets are extremely formal and don’t fare well amidst heavy traffic. Textured carpeting is woven using rougher yarns, for an end result that can take on all types of everyday accidents. It is casual in appearance. Plush carpeting is made to look and feel exactly like velvet. Considered one of the most opulent carpet types, plush is pricey and is best reserved for quiet, formal settings. When it comes to carpeting, today’s consumers have more options than ever before. 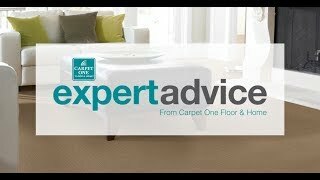 There are carpet choices appropriate for every room in your home, regardless of your lifestyle and budget. There are even carpets that can cohabitate peacefully with children and pets. At Irvine Carpet One Floor & Home we offer one of greater Barrie’s finest arrays of carpeting and related products. As members of Carpet One Floor & Home, which is the continent’s largest cooperative of independent flooring stores, we boast unmatched buying power, localized and friendly services, and competitive pricing. For many homeowners, the benefits of a beautiful carpet offer undeniable appeal. Love your new carpeting? With this easy-to-follow care plan, we promise you’ll love it even longer.